Are you having a tough time deciding on whether to outfit your Ferrari 488 for street or track driving? 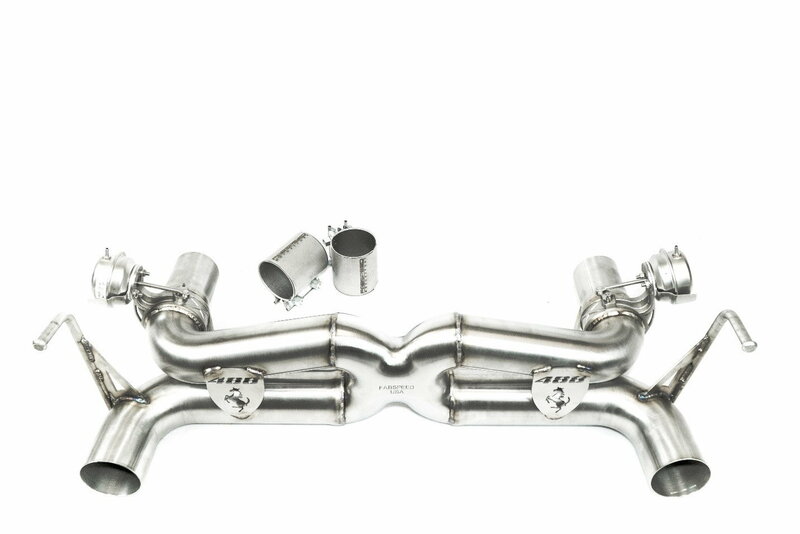 Fabspeed's Ferrari 488 Valvetronic Exhaust System offers the best of both worlds, creating the perfect catback setup for the ultimate street-drivable track car. 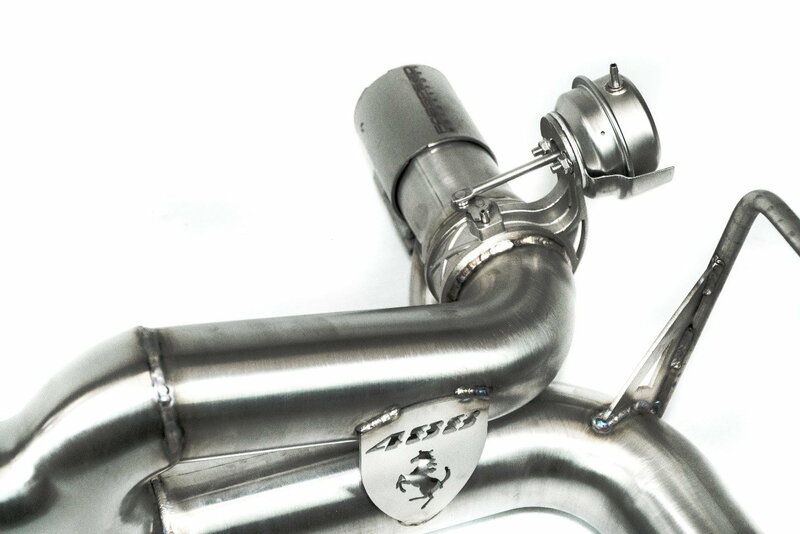 Our 488 Valvetronic Exhaust System offers two distinct tones depending on valve position: mild and wild. You want to retain civility around town? No problem. Just keep the valves closed and you'll be able to enter your neighborhood after a midnight joyride without having to explain yourself at the next HOA meeting. Open the valves, and you'll be treated to a glorious roar befitting of that Ferrari Twin Turbo V8 Engine. Burbles and backfires erupt in abundance, and downshifts summon a bark that will make all eyes and ears around focus on you. We're not exaggerating. This system will put an ear-to-ear smile on even the most miserly of faces. If you would like to add an aesthetic bonus to the rear end of your 488, our Titanium Challenge Style Tips pair wonderfully with the Valvetronic Exhaust.